Pandemonium broke out at the Lagooz Schools on Omotoye Estate in the Orile Agege area of Lagos State after hausa youths invaded the school premises. Hausa teenagers, numbering about 100, stormed the school with machetes and other weapons. 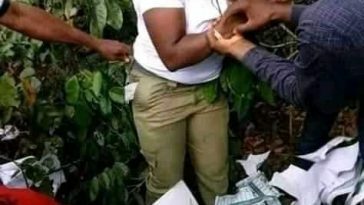 They were said to have attacked the school’s principal and a teacher, identified as Uncle John, during a free-for-all which lasted for about two hours and allegedly went away with N1.5m. Policemen from the Elere divison, operatives of the Special Anti-robbery Squad and some members of the Oodua People’s Congress, were said to have repelled the attack as residents fled the area. Our correspondent was told that seven of the hoodlums were arrested, while others escaped after SARS operatives opened fire on them. 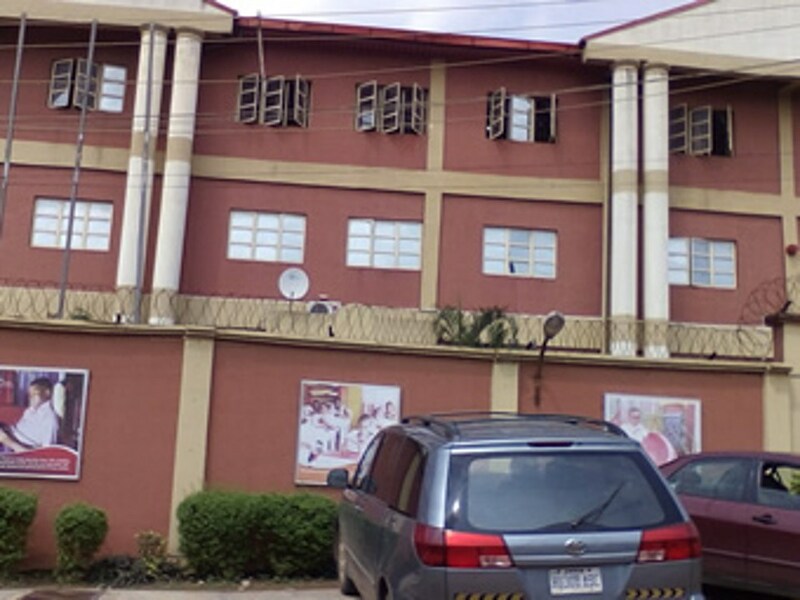 A resident, who spoke on condition of anonymity, said trouble started when the school finished its valedictory service party on Saturday, but the teenagers refused to leave the school premises. “They were actually relatives of some of the school-leavers. The valedictory service party ended around 5pm, but they refused to leave. A teacher, Uncle John, tried to force them out. One of them abused the teacher and ran away. “The teacher, who was embarrassed by the abuse, held one of the Hausa teenagers. There was a struggle between them. As the teacher hit the man, he also fought back and held the teacher by the neck, almost strangulating him. Our correspondent was told that the teenagers damaged about four dozen of the chairs used for the party. Three of them were later apprehended by the school. Those apprehended were reportedly held hostage in a classroom, while the others wreaked havoc on the school premises. A source told PUNCH Metro that the apprehended teenagers, however, mobilised more gang members into the community on the telephone. He said, “Those boys had their phones and they started calling their friends, who trooped into the school with cutlasses and weapons. “Policemen at the school’s gate prevented them from gaining entrance as they shot into the air. The hoodlums, however, grew in number, which overwhelmed the security agents. It was gathered that some OPC members later came out with weapons and engaged the hoodlums. The proprietor of the school was reported to have called for reinforcement from SARS operatives, who stormed the community. “The SARS operatives started shooting into the air. They chased the teenagers and arrested seven of them. They also seized their motorcycles and recovered some of the weapons they brought,” another source said. It was learnt that some Hausa leaders had visited the school and held a truce meeting with the management. The Proprietor of the school, Chief Yomi Otubela, said it was only a minor disagreement among pupils of the school. But the Police Public Relations Officer, SP Dolapo Badmos, confirmed the attack, adding that seven suspects had been arrested. She said, “Some hoodlums entered the school’s premises and destroyed some property. They allegedly made away with N1.5m.